Looking for a new bag pattern to sew? 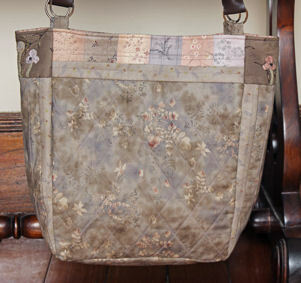 I've just uploaded this new bag pattern to the Stitching Cow website. 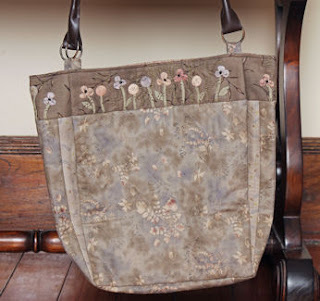 Embellished with gorgeous little appliqued blossoms and seed beads, this bag is lots of fun to make. I have also included some needle turn applique and simple hand embroidery. 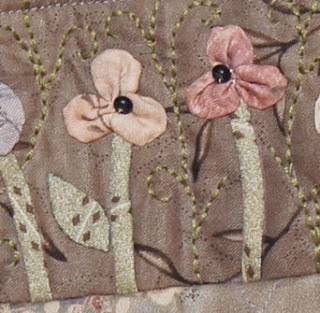 A few of my favourite fabrics were incorporated into the back patchwork panel. you can check out all the details by clicking the link here.